DR Paint is a painting business based on good old fashioned values and ethics, hard work and trust. Hi. My name is Darran Russell and I’m originally from a small country town in Central Western Queensland, where I worked in a family-owned painting business for over 30 years now. I have been a painter all my life. 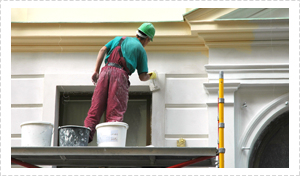 DR Paint was started in Brisbane in the year 2000 and since then I have established myself as one of the most reliable painters Brisbane has to offer. I’m Doctor Paint, and I’m here to breathe new life back into your home or premises with quality craftsmanship. As much of my painting business is based on good will and word of mouth, I believe in going the extra mile for my clients and am always willing to help people out. It’s my country traditions and values that I believe, sets me apart from other painters in the trade. It’s what makes my business unique among painters in Brisbane. One of my favourite things about painting is seeing the surprised and happy look on people’s faces; that shock factor when they set eyes on the transformation I have created, something that only good quality painters can achieve. My business isn’t based on good character and ethics alone, though. Experience counts for a lot, as I have over 30 years of painting experience to offer you. I can advise you on your choice of colours, helping you to make an informed decision on what colour scheme works best for your property; whether residential or commercial. Painters come and go all the time, but only the good stay in business for decades like I have. Along with a strong focus on taking pride in my work, I believe in providing excellent customer service and look to create a personalised customer experience. It’s not all about the job, it’s also about establishing good customer relationships as well. 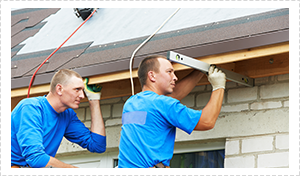 While we are based on the Southside of Brisbane, we are willing to travel to North Brisbane and the northern tip of the Gold Coast for painting work on occasion. It’s all a part of going the extra mile for the customer. DR Paint believes in the principle of offering great value for money while never compromising on the quality of workmanship, painting materials or customer service. No matter what your painting needs, whether commercial or residential – a quality paint job will not only improve the appearance of your property but add value to it as well if you ever decide to sell. If you need quality painting done, be sure to get Doctor Paint on the job. I’m only a phone call away.